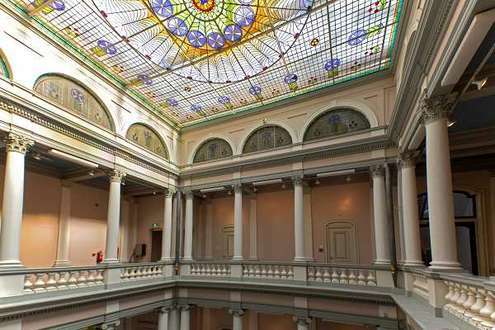 Established in 1636, Utrecht University has a long history and is rich in tradition. The University is an international research university of the highest quality. This has been demonstrated for many years by its high positions in international rankings. 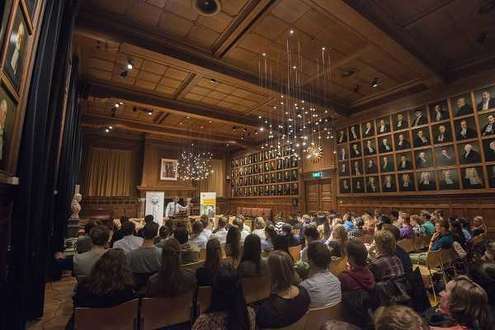 Nowadays, there are over 30,000 students at Utrecht University and 7,500 members of staff. Every year, more than 3,000 international students and researchers stay in Utrecht for variable periods of time. Utrecht University currently offers 5 English-language Bachelor’s programmes and 86 English-language Master’s programmes. 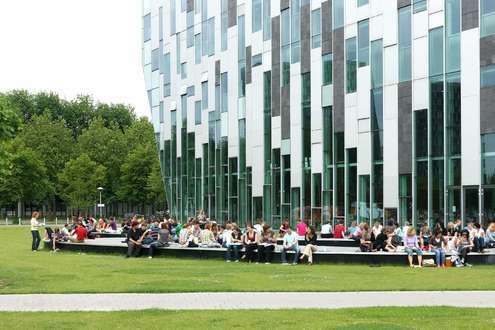 The university is situated in Utrecht, a lively student city in the heart of the Netherlands. 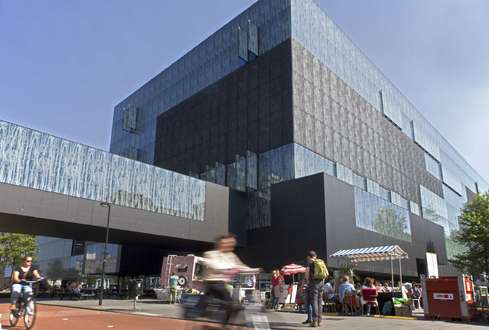 Utrecht is a beautiful and inspiring urban setting that nurtures talent and creativity. It’s a dynamic, growing city that is characterised by a personal, human scale and offers myriad opportunities to those ready to grasp them. Last, but not least, Utrecht is an intelligent city that uses innovation and sustainability to meet new challenges and achieve its ambitions. Thanks to the help of a young, talented workforce and a citywide programme to create a sustainable society, Utrecht was recently voted the most competitive region in Europe. 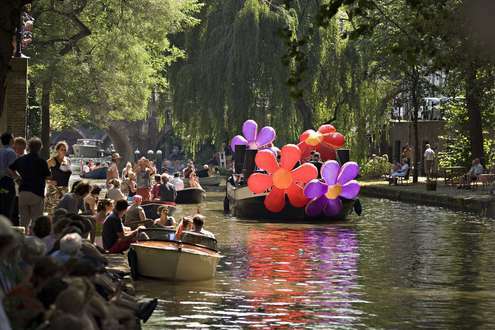 Lonely Planet ranks Utrecht in their top-10 of the world's unsung places. For most Master’s programmes you can apply at any time during the application period. However, because the number of places may be limited, we strongly recommend that you complete your application as early as possible. The sooner you complete your application, the sooner you will receive a decision on your admission. Apply online for the programme of your choice via Studielink. You will receive an email with login details for OSIRIS Online Application, where you can upload the required documents. Here you will also be able to check the status of your application. Pay the application fee, if applicable. Once your application is complete, it will be processed and you will receive an admissions decision from the Graduate School. Download the instructions for applying to a Master’s programme with a non-Dutch degree for more information. After you receive an admissions decision you will be asked to send in several certified documents. 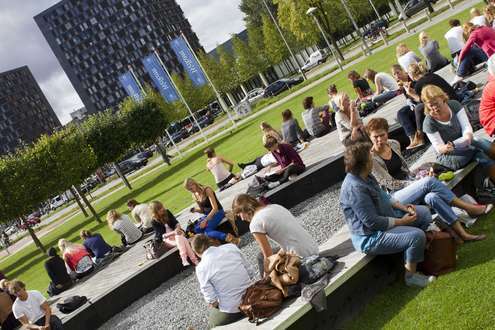 Why should I study here at Utrecht University? With a degree from Utrecht University, you will join the ranks of UU alumni -including many who have made an important contribution to the quality of society. 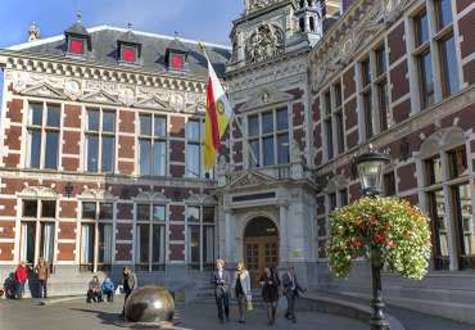 Utrecht University brought forward 12 Nobel Prize winners. Among them Christiaan Eijkman, one of the first to discover vitamins, neuro-pharmacologist David de Wied and the most recent Nobel Prize winner, theoretical physicist Gerard t Hooft. All these excellent students and staff, from far in the past up to the present day, are what makes Utrecht University what it is today. Through innovative research and education, they contribute to Utrecht University's mission: Bright Minds, Better Future. 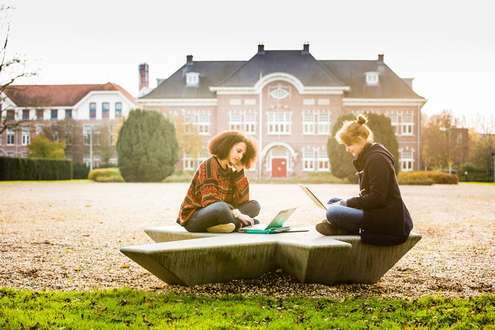 At Utrecht University you will experience a model of quality education that stands for personal and interactive teaching based on critical reflection and debate, flexibility and a level of choice for students, as well as permanent professional development for lecturers. All of Utrechts masters programmes are directly linked to fundamental and applied research in a wide range of disciplines. Multidisciplinary research in Utrecht focuses on four strategic themes: Dynamics of Youth, Institutions, Life Sciences and Sustainability. After a thorough restructuring of all of Utrecht Universitys masters programmes between 2014 and 2015, the connection with the professional field is consistently embedded in the curricula of UU masters programmes. Through course content developed in conjunction with experienced professionals, structured contacts with external organisations and alumni, and internships, your joining a Utrecht masters programme will be a direct step into the job market in your field. A newly set up and large-scale Career Services division will support your transition into the Dutch or international postgraduate job market. The UN World Happiness Report lists the Netherlands in the top 5 of happiest countries in the world. 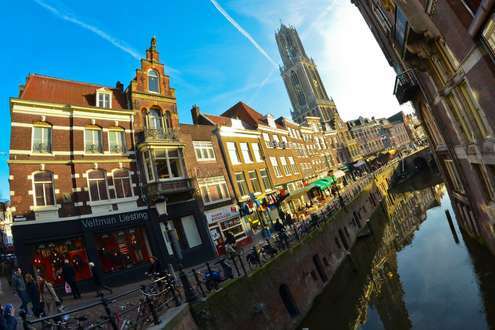 BBC Travel subsequently picked Utrecht as one of the top 5 happiest places to live. Utrecht is a beautiful city with a medieval city centre, small enough to explore on foot (or by bike, as the Dutch do!). Yet large enough to enjoy world class festivals, modern architecture, a great variety of restaurants and bars, trendy shops and interesting museums. Along the Oudegracht, the central medieval canal, water-level bars and restaurants line the towpath, which is a charming place to watch the boats and birds go by. The Domtoren, or cathedral tower, is the tallest in the country, and from the top you can see the entire city below. Every Saturday the Oudegracht blooms with the weekly flower market. English is widely spoken throughout the Netherlands. With an excellent public transport system, the centre of Amsterdam and Schiphol Airport are less than half an hour away from the centre of Utrecht, and there are easy train connections throughout Europe. 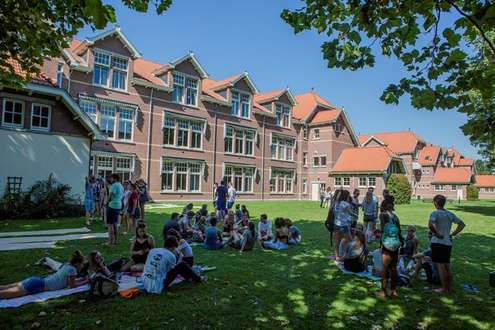 Utrecht University is a true top-100 university. 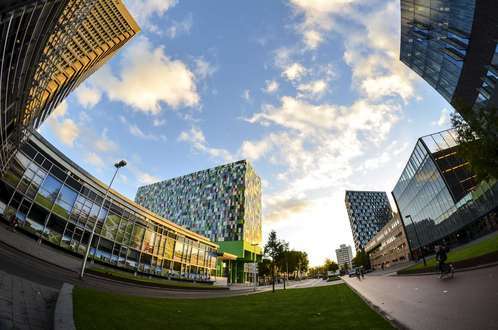 The Shanghai Ranking ranks Utrecht University as 1st in the Netherlands, 17th in Europe and 56nd in the world. 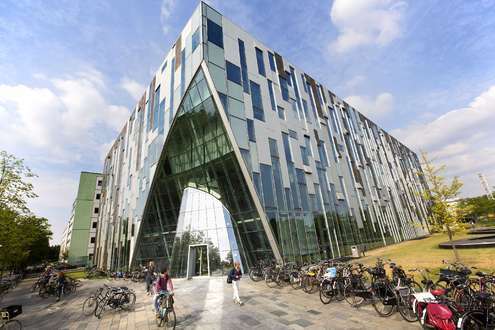 The Best Global Universities Ranking ranks the University als 1st in the Netherlands and 15th in Europe. The Times Higher Education Ranking places the university at number 62. The university has also been ranked as 35th worldwide by the Taiwan Ranking, published by the Higher Education Evaluation & Accreditation Council. « zurück: Why study at UU?